The first few weeks interning with New York Life have been intense. I have been introduced to a different world of life insurance and finance, its exiting new world that I knew nothing about. I have been busy studying everything that has to do with life insurance, health insurance and it is eye opening. My mentor with New York Life is Gustavo (Gus) Cuellar. He’s been instrumental in my development with the company. He is intelligent and determined individual that seeks hard work from me. Coming into the office is something I look forward too every time because its wonderful environment to learn. Everyone is there to seek knowledge and it reminds me of the classrooms at University of Houston-Downtown. The management and marketing classes I’ve taken have given me a leg up into this world. I’ve used concepts from my human resources class in the office when working with other co-workers, implementing different marketing ideas to promote New York Life and the importance of having coverage. At first, I didn’t fully understand the importance of life insurance, until a drastic situation occurred in my personal life. A few days before Christmas my family received some terrible news, my sister-in-law’s mother passed away. The family was blue because an important person in our family is not with us anymore. Aside from all the grief there was a funeral that needed to happen and that’s something that needed to be paid for, this is when life insurance kicked in. Unfortunately, we weren’t ready for the situation as we should have been, and the costs started to add up. This is when having the correct life insurance is needed. This is when having a great agent is needed. This is when a families last thought should be how to pay to bury someone you love. Its something as young adults we don’t think about but it is needed. 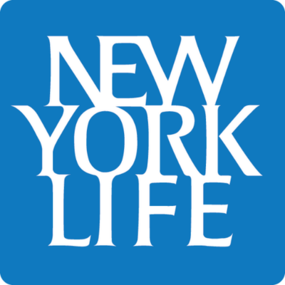 The work I’m learning to do is important and I must thank New York Life for the opportunity for it. Next Insurance & Risk Management Student Wins National White Paper Contest & Trip To D.C.